What do the FCA’s latest consultation papers, CP18/12 & CP18/13, have in store for the high-cost credit sector? It is four years since the FCA took over the responsibility for policing the consumer credit area. Like eating an elephant, they’ve taken it one small bite at a time. Last month the FCA published the next stage in its ongoing review of the high-cost credit sector, with the release of two consultation papers- CP18/12 and CP18/13. These proposed rules and guidance cover firms that provide credit through such diverse routes as doorstep loans, catalogue credit as well as bank overdrafts. In this way, the FCA have companies looking towards the profitability of their business model with one eye and the other fixed very firmly on the more esoteric concept of ‘fairness’. It is noted that the FCA have stated they recognise the ongoing value to society of the high-cost sector, albeit in limited circumstances. • Warranties are not to be sold at point of sale on goods purchased under Rent-To-Own. • Reconsidering the FCA interpretation of the current rules on offering loans door-to-door without a specific request by the customer. • More control to be given to customers over credit facility increases in catalogue credit (i.e. make it easier to refuse an increase). 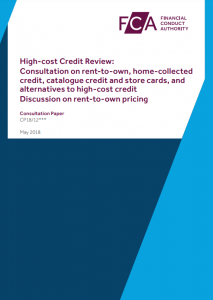 • More restraint to be exercised by catalogue and store credit firms, to ensure increases are not given to those at risk of financial difficulty. • Changing the way firms deal with customers in persistent debt, by encouraging engagement to repay funds more quickly. Firms are expected to offer customers more specific routes to find help with their financial difficulties. The changes proposed go some way to emphasising the duties to the customer that the FCA think should be integral with the commercial benefits of offering credit. What is noticeable from CP18/12 is the encouragement given by the FCA to the alternative funding sectors, such as Credit Unions and local authorities, to provide funds for basic household goods. They have stated that the FCA Sandbox has already been used to help develop some innovative options for the public. A number of debt support organisations such as StepChange and the Money Advice Trust have come out in support of these changes and seek further developments, particularly in the overdraft sector. The FCA still believe that overdraft usage is a barrier to current account mobility (people will move their money, they don’t think of moving their debt). This consultation paper is only a baby step towards overdraft reform, and there will be more to come. While CP18/12 will affect the credit facilities of a great many people, the changes proposed in this paper will affect the current accounts of virtually everyone in the country, while directly impacting the quarter of all UK adults (12.9 million people) that use overdraft facilities annually. 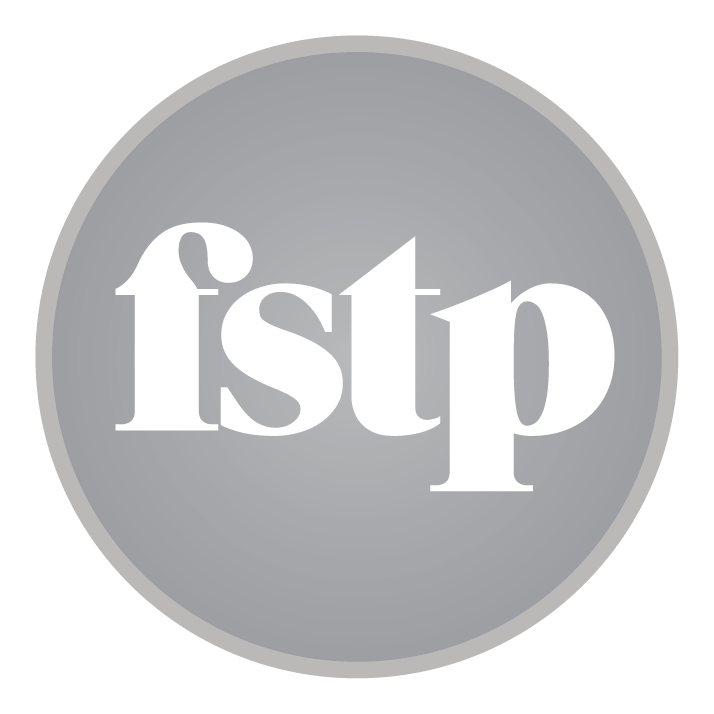 The last attempt (by the OFT) to implement radical change in overdraft fees and charges led to their defeat in the UK Supreme Court less than 10 years ago. With this in mind, the FCA are less prescriptive and seem to be more open to considering the impact on different parts of the payment services sector. Further debate will be encouraged in this area later in the year when they consult on potential changes to retail banking models. That said, the regulator is seeking responses to a number of proposals it believes will reduce the overdraft debt burden. It has split the consultation paper in two- First the ‘Consultation’ section, where the FCA publishes immediate proposals for implementation and a second ‘Discussion’ section, where potential remedies are identified for more generic consideration. The use of technology to alert customers to unexpected overdraft usage and the associated charges. This is a drive by the FCA to push account providers towards better use of technology in reducing costs for the customer, not just the organisation. The proposals with a greater impact on processing are in the ‘Discussion’ section. Better and more prompt intervention where customers are demonstrating signs of potential financial strain, including restricting the availability of credit and offering alternative (more suitable) credit solutions. A ban on overdraft fees other than the fees associated with the cost of ‘bounced’ payments. The removal of overdraft facilities from ‘available funds’ references online or elsewhere. To aid better comparison, the FCA also plan to introduce guidance around fees charged for refused payments and the relationship to the original costs incurred because of the event. As an overriding principle, firms must remember that in a lot of cases they are dealing with potentially vulnerable people, given the nature of the products. In CP18/12, the FCA have made it obvious that the provision of clear information is paramount in allowing the customer to choose the most appropriate form of credit for their purpose and circumstances. Documentation and system development will not be enough to be compliant- The FCA are expecting attitudes to change. There are aspects of overdraft facilities that the FCA are not comfortable with, but they are aware of its usefulness in short term borrowing and the widespread use of this kind of facility by the public. By splitting CP18/13 in two, they have ‘kicked the ball down the road’- better technology and information provision is not controversial, changing the funding model for bank accounts is. There is a lot more to come in this area, and it will be interesting to see the outcome of the Strategic Review of Retail Banking Business Models in a few months.